A physicist and a radiation health expert have had two papers about people’s exposure to radiation following the Fukushima nuclear plant disaster subject to expressions of concern. The article, carried in the Journal of Radiological Protection’s online edition in July 2017, listed average radiation doses that were one-third of the actual levels for people in Date, a city around 60 kilometers northwest of the crippled Fukushima No. 1 nuclear plant, [Hayano] said. It has been brought to our attention that some of the data used in the study reported in this article potentially were without appropriate consent. We have further been advised that this is currently under investigation. If required, the publication record will be corrected as soon as possible. The paper had been subject to a correction in 2017. In addition, this Expression of Concern highlights that the article, referenced herein, contains a methodological miscalculation underpinning the reported results. The miscalculation may affect the main conclusions of the article. The publication record will be corrected as soon as possible. seeking to establish the details surrounding the research behind these papers, though we have few facts at this stage. We believe there is an ongoing investigation(s) external to this journal (in Japan) into whether or not some of the data used in the study reported in the papers potentially were without appropriate consent, and if so who is responsible for this. The outcome of this investigation(s) will determine our final course of action. the authors responded to our query to confirm that an investigation(s) is underway in Japan. In this email, we were advised by the authors that a committee would meet to determine the facts in February 2019. Due to the unavoidable delay in us obtaining information relevant to take further action, we immediately issued an Expression of Concern to highlight the potential unconsented use of data. The Expression of Concern relating to paper 2 of the series, Makoto Miyazaki and Ryugo Hayano 2017 J. Radiol. Prot. 37 623, also highlights a miscalculation within this paper. This miscalculation was spotted by a reader of the journal and a corrigendum was being pursued with the authors. However, a potential corrigendum is now on hold; due to the nature of the investigation(s) the authors would need to await the outcome prior to re-analysing the data to correct the mistake by way of a potential corrigendum. what is the reputation of IOP Science? Very good reputation within the community of physicists. In most cases, any researcher in the field who wants to publish a solid work should first choose between an IOP journal (UK-based publisher) and the USA counterpart (Physical Review sections, published by the American Physical Society). With no other platform to inform the scientific community of the other errors, Kurokawa posted his letter to arXiv.org. (2) It should be noted that Kurokawa submitted his letter before Miyazaki & Hayano came out to acknowledge other errors while ignoring those Kurokawa raised last year. 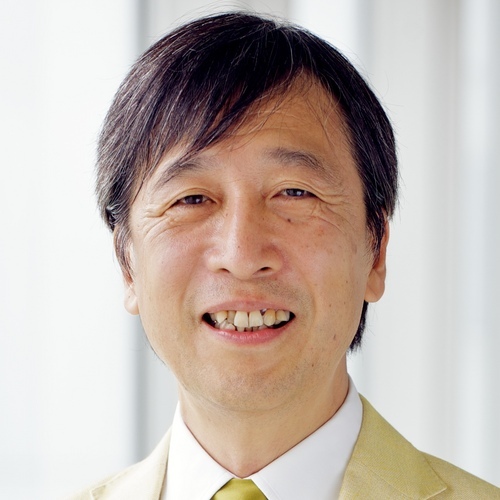 A public statement by Hayano was actually released on January 7 and references Kurokawa’s draft comment, which IOP Science has held as a draft without publishing since November. At the URL below, it is translated along with Kurokawa’s response, which describes several unethical practices Hayano admits in his statement. A full analysis of the ethical violations involved in this paper was published in the magazine Kagaku and will soon be translated into English.